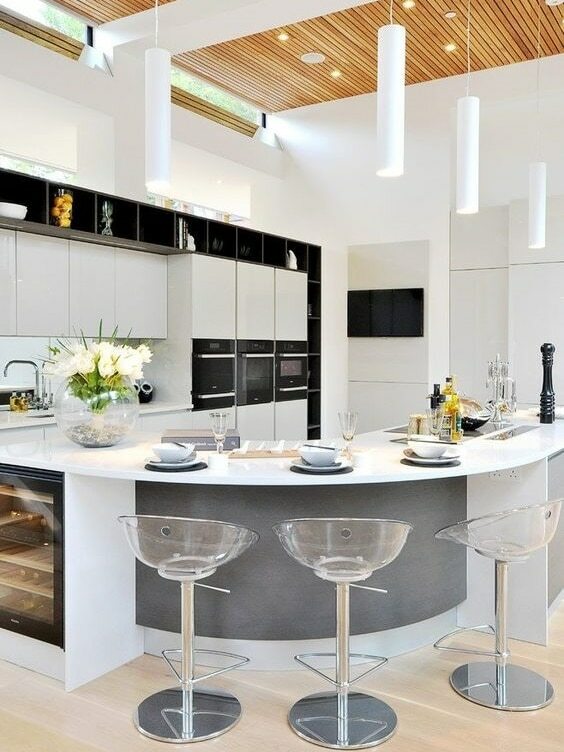 The contemporary kitchen has the high functionality and streamlined surfaces of the modern kitchen but it’s style often incorporates other traditional elements. Layering of materials and shapes with lots of patterns and textures and the combination of different materials indicate a contemporary kitchen. Materials are natural (wood and stone) and manufactured (stainless steel, laminate, veneers, frosted glass inserts, vinyl, chrome and lacquer). 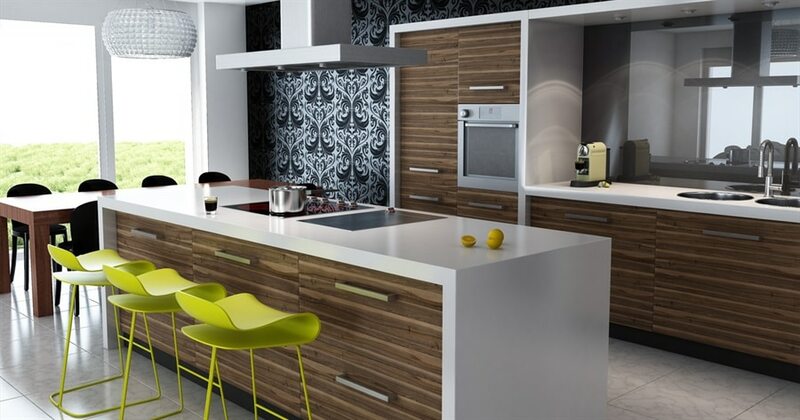 Whereas a modern kitchen is a specific design style, the contemporary kitchen reflects current design of the moment. It is always evolving, reflecting trends and technical advances in kitchen design, materials and equipment that are always cutting-edge and fresh. 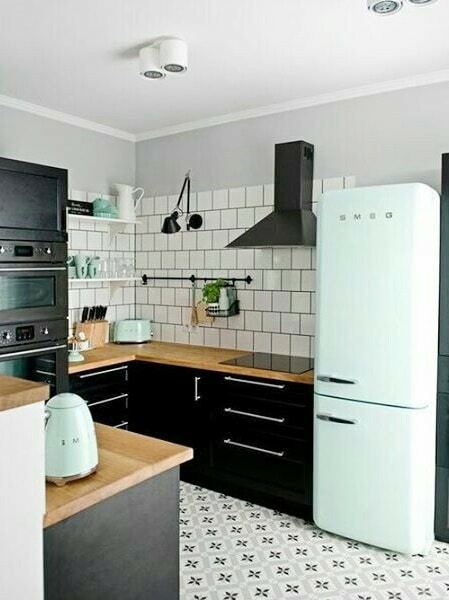 Doors are predominantly flat panel or shaker but elements from other styles are also often included. Handles are usually of the bar variety in brushed nickel, chrome, copper or stainless steel. Glass tiles or countertops, colourful appliances, decorative lighting, bar stools and accent walls add to the contemporary look. Geometric shapes can be found in lighting fixtures, furnishings, counters, wall décor, windows and kitchen islands. 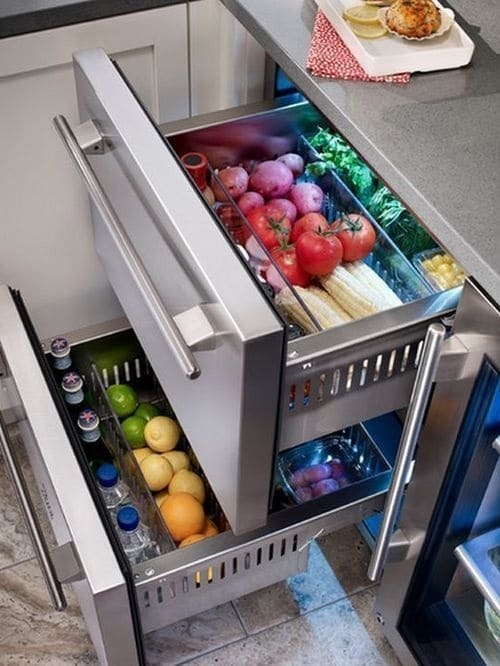 Contemporary design is about smart, hidden and/or unexpected storage solutions. This encompasses pop-up hidden outlets, pull out storage mechanisms, custom under counter storage and recycling bin units. 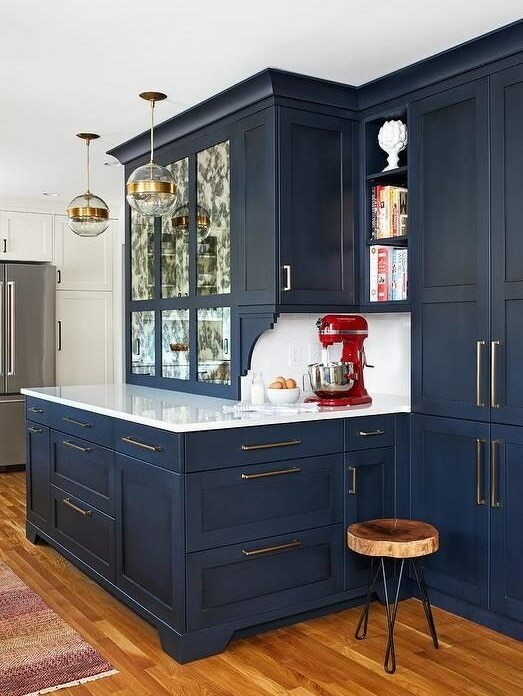 There is often a single striking colour that will be repeated in open shelving, a kitchen island, rug or other furnishings and extended into the living area to create a warm and inviting living space.